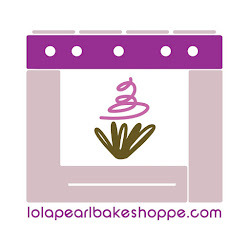 Lola Pearl Bake Shoppe: Come out and help fight against ovarian cancer! 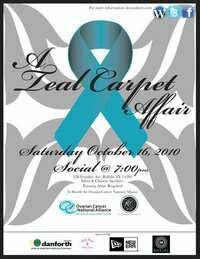 Join KC You There and the Ovarian Cancer National Alliance at the “Teal Carpet Affair” on Saturday October 16, 2010 from 7-11pm at Social in Downtown Buffalo to help a big-hearted cause in the fight against ovarian cancer. This is a must attend event!! Guests will have the chance to walk down a customized Teal Carpet to show their support for those who overpowered and unfortunately lost their lives to the fifth leading cause of cancer-related death among women. Tickets are $20 presale or $25 at the door. The “Teal Carpet Affair” will be a night of entertainment, Perry’s Ice Cream taste testing, hors d'ouevres, and top shelf beverages. The event will be filled with local activists, survivors, and athletes that share similar stories and join the fight to raise awareness and proceeds that will directly affect the Ovarian Cancer National Alliance. We are honored to be a part of this event! Karina and Curt with KC You There have done such a great job organizing this event! PLEASE come out and show your support! We hope to see you there!! To order your tickets now, click here! PS, there will be a TOP NOTCH chinese and silent auction! You do NOT want to miss it!! Wish the event was closer to my home, would love to attend. I am an ovarian cancer survivor and research needs to continue to battle this terrible disease that not enough people recognize. Early detection is so important for our young woman!! !